THE SANTA MARIA TIMES, SANTA MARIA, CA – Fans of deep-fried and glazed confections will be pleased as construction begins on Santa Maria’s first Krispy Kreme Doughnuts, which is expected to open this fall. Westar Associates — which developed and continues to manage The Crossroads — announced Friday that construction was underway on two separate building pads at the center, one of which will be home to Krispy Kreme. The new store will include indoor seating as well as a drive-thru. The two pads are located on the west end of the shopping center, facing Bradley Road. The first, called Building D, measures 5,500 square feet and will be located in the parking lot in between Menchie’s Frozen Yogurt and Chuck E. Cheese. The second, a 16,000-square-foot pad called Building E, is being constructed in the parking lot between Jersey Mike’s Subs and Chuck E. Cheese. Krispy Kreme will occupy 2,740 square feet of Building D, and leasing opportunities for remaining space in both buildings will be open to restaurant, retail and medical uses. A Weststar Associates spokeswoman said the new project is expected to bring approximately 135 new jobs to the area. 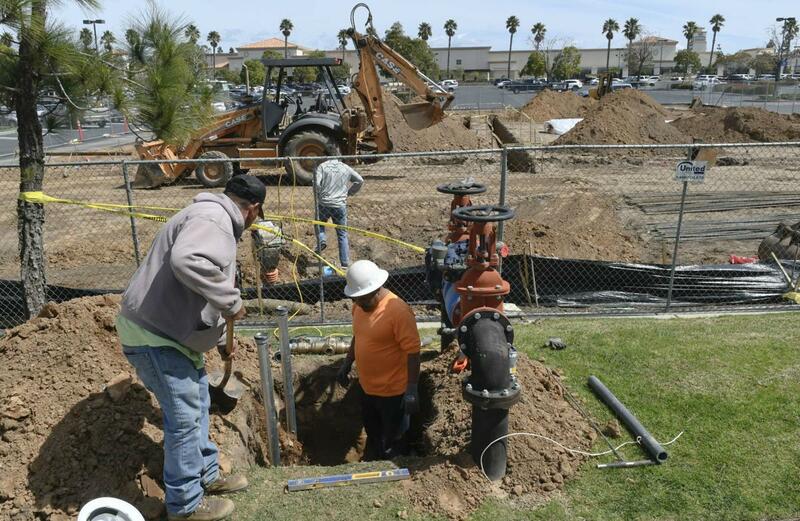 On Friday, construction workers could be seen digging trenches in the location where the pads are set to be located. The Crossroads shopping center, which spans 48 acres, opened in 1998 and consists of several regional and national retailers like Home Depot, Walmart, Best Buy, Tillys and Five Below. “We’re glad to welcome another new business and new jobs to our community,” said Mark van de Kamp, Santa Maria city spokesman.